I always tell the brethren, “Listen, a demon cannot have you because you are the possession of God bought and purchased by His Blood. But, you can have as many demons as you want.” Some people don’t believe it, but I am telling you I have been beaten up by more demons in Christians than in sinners. Because of this paradox that I saw in one particular man, I went to God. I asked Him, “How could a Christian do such-and-such a thing? Was he not a Christian?” Some of us would say, “No, he wasn’t really saved. He couldn’t have done it if he was saved.” And we think we are free. No, sir! He was saved. I knew him to be saved. I fellowshipped with him. I walked with him in the Lord. But then, I discovered something was in the man that he did not get rid of. He refused to get rid of it. If anybody tried to touch it, he would get upset. He would not allow you to touch his demon. He covered his demon, he was not cleansed from it. God had to carry him through tribulation, sickness, terror, and plead with his soul before He finally took him home. Let me tell you his story: He was a brother in Philadelphia, who was sweetly saved. We used to meet for a prayer meeting every morning. He was an executive in a company and his business began to prosper. He started a little social drinking. “Oh, the Bible is not against it,” he would say. “The Bible doesn’t say you must not drink.” And it went on and on. He didn’t realize what happened until the drink took him over. Let me tell you, brethren, if you start drinking socially, the devils are looking at you, and they bring the Bible to you. “Oh, Jesus Christ drank. He drank wine with the sinners.” However, there are demons of liquor that come into a person and he then does not have any more control over his drinking whether he is a Christian or not. That demon came into this brother, but he would hide it. You wouldn’t find a bottle anywhere around his house for they would all be hidden under his bed. He would take a sip now and then until he became a slave to his drink. Somebody would smell something and say, “Brother, it smells like you’ve been drinking!” “Oh, no! No, no, no,” was his reply. This way he got a demon of lying and then others came in one by one. And at the same time he ministered! He would get up in the church and tell everybody how wonderful Jesus was. This brother would do all manner of things to cover up! He was covering up and covering up and the demon of liquor was very comfortable for he was well hidden in a place of darkness within his soul and took in other demons, too. Not only a lying demon, but also a demon of lust comes in with a demon of liquor. That is why I advise Christians not to drink any alcoholic beverages at all. Whether you think it is in the Bible that you can drink or not, I say, “Don’t drink!” There are two reasons why you shouldn’t. The first reason is that a demon will come in with the liquor. The second is that somebody else having seen you drink will take your example and you will be responsible for sending him to hell. This particular brother began to drink heavily. The next thing that happened, he dropped out of the prayer meetings. He made all kinds of excuses, yet still sent his tithes to the church. But God was very good to him. God loved that man so much! He got cancer and was dying. 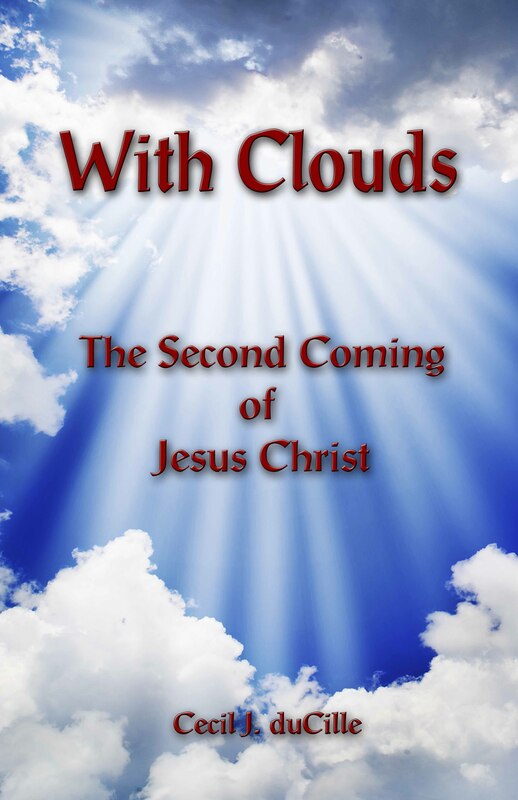 As he did, two women in his family began to bombard heaven. “No, God! You can’t take him, God! Save him, God! Deliver him, God!” God said, “All right. I will heal him.” As they were sure they heard the voice of God, they went to the hospital, laid hands on him, rebuked the cancer and the man was healed. He was healed! He went back to work and for a while was clean, but the same thing happened again. After a couple of years the cancer came back. Again, these women went to God and believed that God said, “I will heal him.” They felt so good! They were bolder now, because they had done it before. They took his clothes to the hospital, asked for his discharge, laid hands on him and rebuked the devil from him. They were sure he was going to be healed this time, too. However, he died. They could not understand God, but, you know, God is love. God loves you so much that He will even kill you rather than let the devil have you. He will take your life, He will take you out of this world rather than allow the devil to own you. It is all because He loves you. This is the kind of insurance policy we have with God that He loves us and we love Him and we will not let Him go and He will not let us go. Remember, a blood covenant is a covenant unto death. You made a blood covenant with Jesus Christ and if you believe it, you can say, “I am saved and I cannot be lost.” If you believe God, there is no power in hell, or on earth, or anywhere else that can remove you from the love of God which is in Christ Jesus! It cannot! You cannot be lost if you believe God. This man believed God and God took him home. Let me tell you about one more man, who did not overcome the demon of liquor. I remember, in days gone by, I was with Brother A. A. Allen. He was a powerful man of God, he did mighty works of God. I am not talking about those people who bring off tricks and seduce many. This man did some really powerful things. For example, there was a mad man that they brought in a truck. Brother Allen told them to lock him up in the truck with the mad man. This man was really weird; it took ten men to get him inside that truck. A. A. Allen went in and when they finally opened the door, both of them came out, the mad man clothed and in his right mind. The next thing that happened was that he went up into Sacramento. Some witches, some Satanist people, sent him a message. The message said, “We are going to kill you. We give you 9 days to live. You will be dead in 9 days.” He just rose up and rebuked them! He called them liars. I was in Boston at that time preaching in an old theater. Brother Allen was on the radio every Thursday morning at that time. I was very much interested in hearing him preach that Thursday morning, because that Thursday morning was the 9th day. When I heard him, I was excited. “He has overcome the witches!” was my thought. He brought a message from Ezekiel about the shepherd and the sheep. He came out with such a power that I was blessed to hear him. The phone rang a little later and the voice said, “Brother A. A. Allen is dead.” “He can’t be dead,” I responded, “I was just hearing him on the radio.” “It is the message he gave last night,” was the reply. They found him dead with the bag of money he had collected the night before. He died of cirrhosis of the liver. His whole inside was parched dry because of it. The Word of the Lord that the woman brought was true to him. Brethren, God has given us power to overcome all demons that would want to possess our soul. Therefore, let us use this power so that we would be set free not only for our own benefit but also for His glory.